Sometimes you just want a BIG MESSY JUICY BURGER. 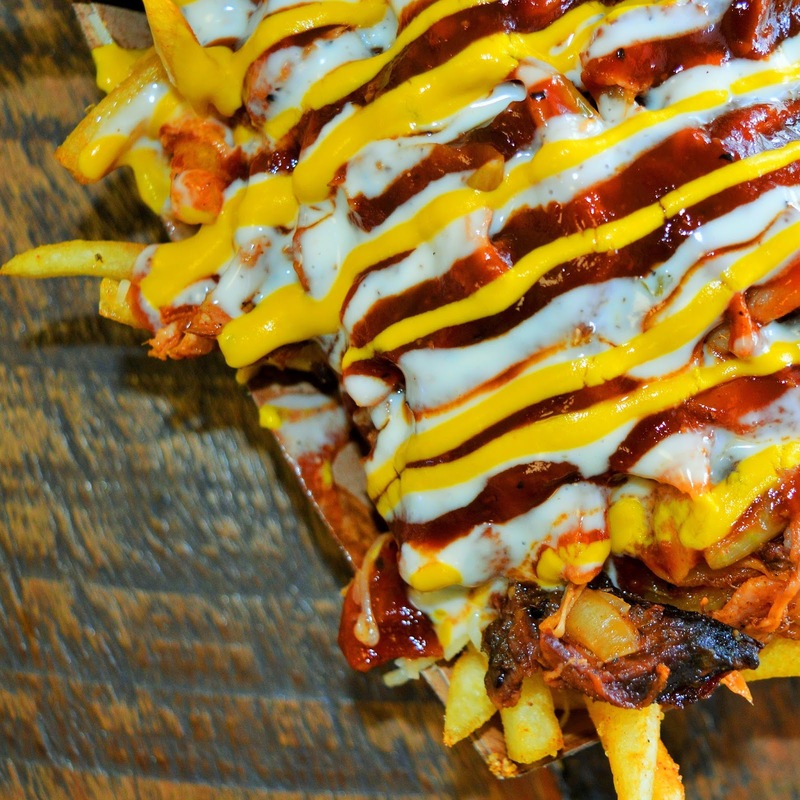 'Getta Filthy Fries' - Piled high with Smoked brisket, pulled pork, grilled onion, cheese and maple bacon....drizzled with mustard, ranch, That BBQ Sauce, and seasoned with smoked salt dust. No, sometimes you feel like a burger that's almost as big as your head- So GI-NORMOUS that it becomes a challenge to even devour it (a challenge you'd happily accept...am I right?) 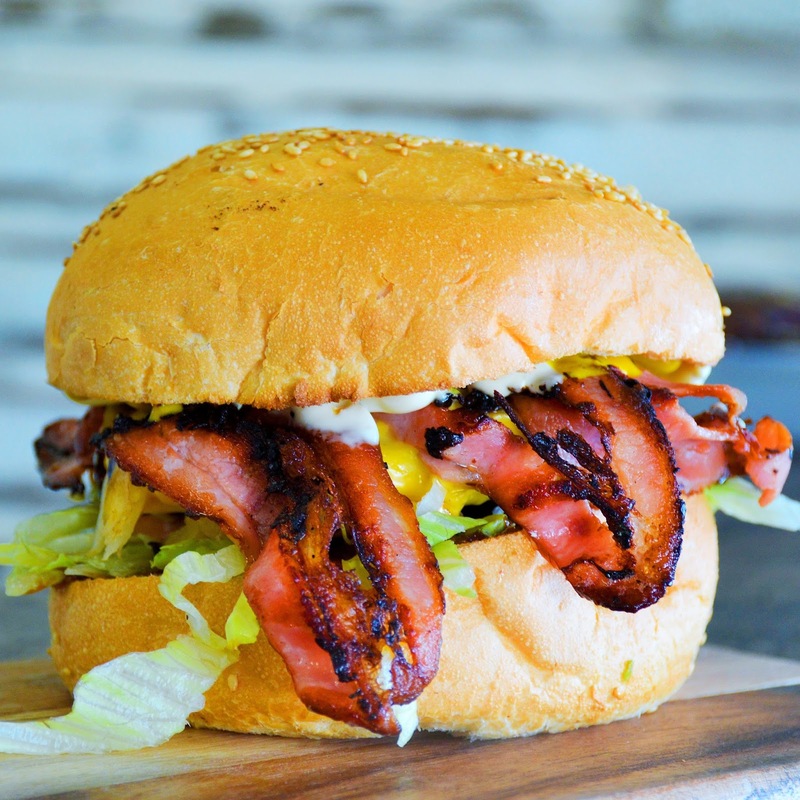 A burger so packed full of cheese and bacon that it overflows like a magical waterfall of burgery-goodness! That's exactly the kind of burger you get at Getta Burger Carina. 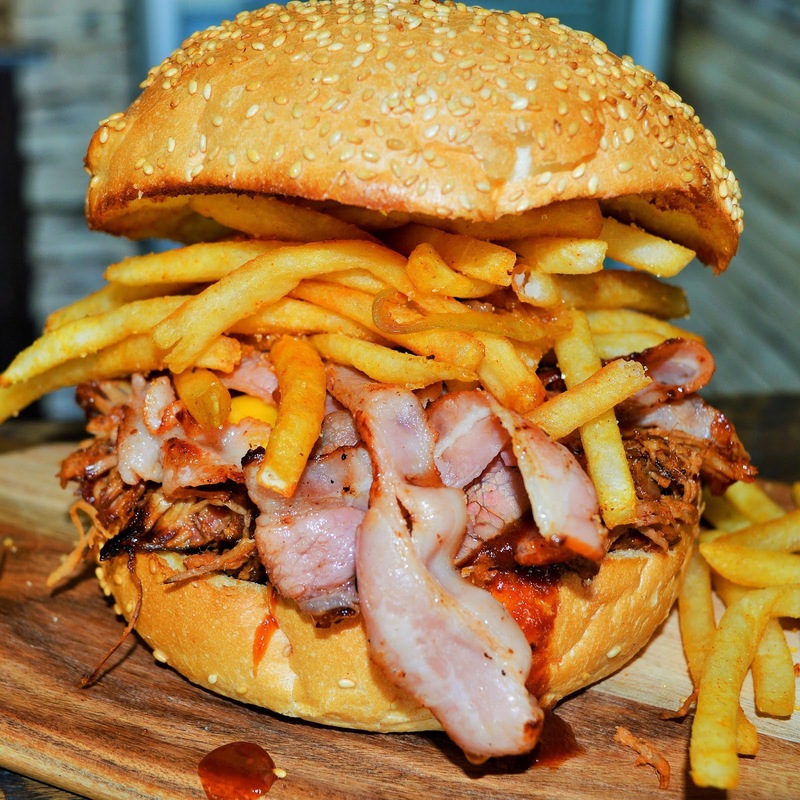 'Getta Pig Out' - Pulled pork, crispy bacon, double cheese, That BBQ sauce, topped off with crispy fries. 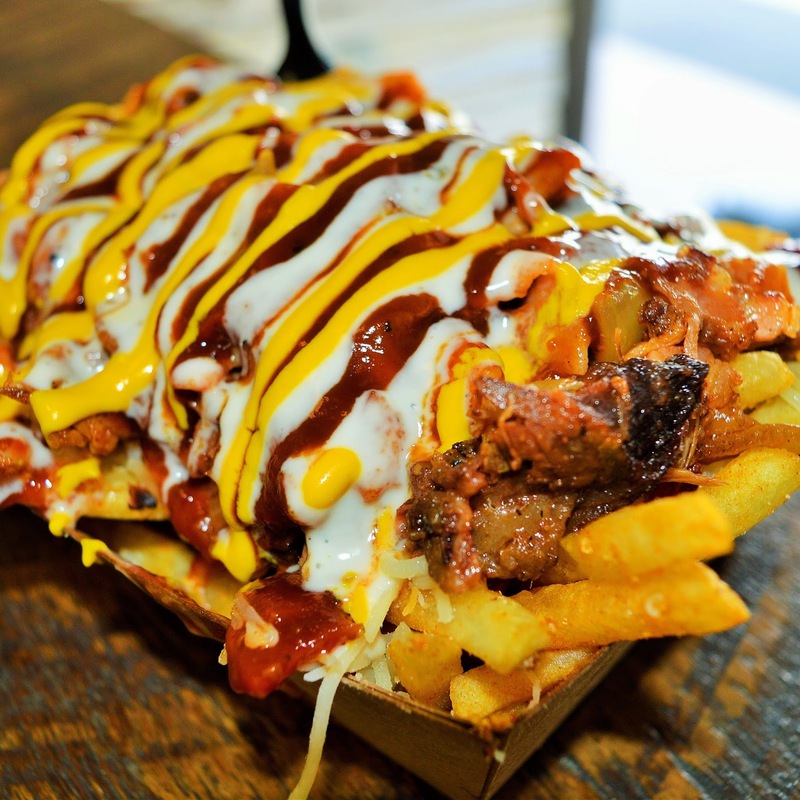 The owners of popular Brisvegas food truck 'That BBQ Joint' opened the doors of Getta Burger about 6 months ago and their fan club is becoming so massive it could rival the Beilibers. Getta Burger is a small shop in a quiet part of Carina. Dont let their appearance fool you! Getta Burger is setting the bar for the burger scene here in Brisbane. When you walk in you feel like you've been transported to a backyard BBQ in the South. Country music playing in the background, the smell of bacon and smoked brisket wafting through the air... HEAVEN. 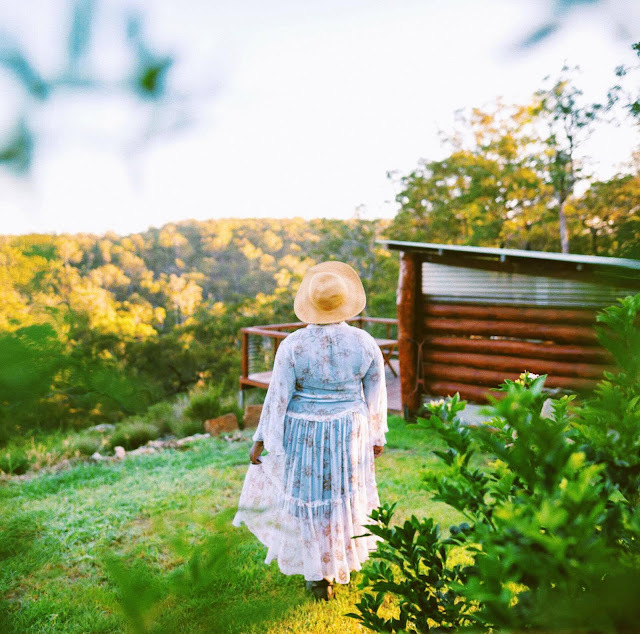 Owners Brent & Amy Poulter, know a thing or two about Southern US cuisine having eaten their way around the South a few years back. 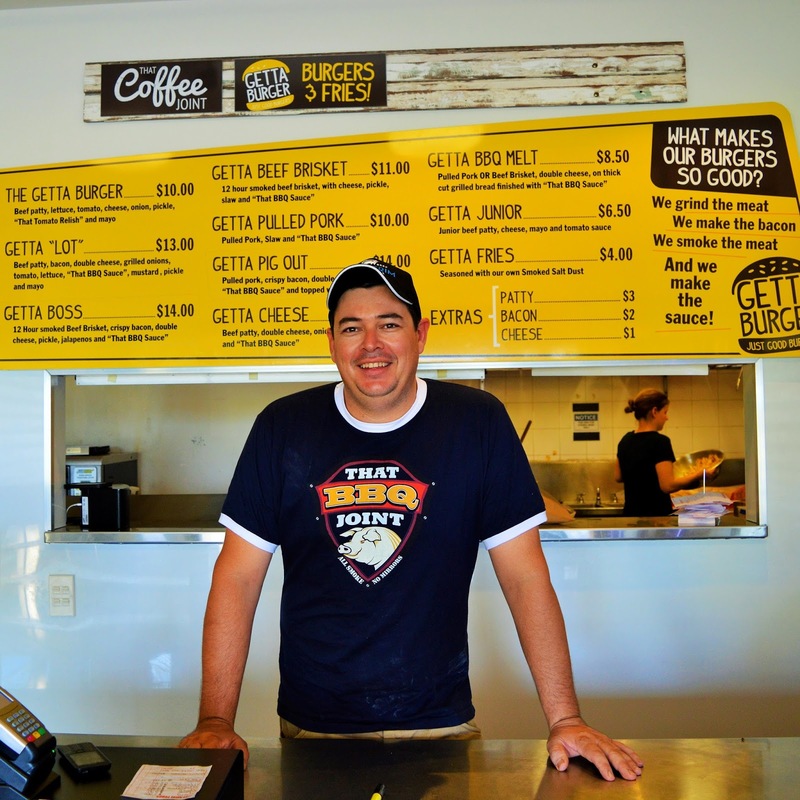 Brent, describes Getta burger as "Good, Old-fashioned, Southern-style Burgers". The menu is simple but diverse enough to satisfy all your burger cravings. It definitely has this Southern girl's seal of approval. 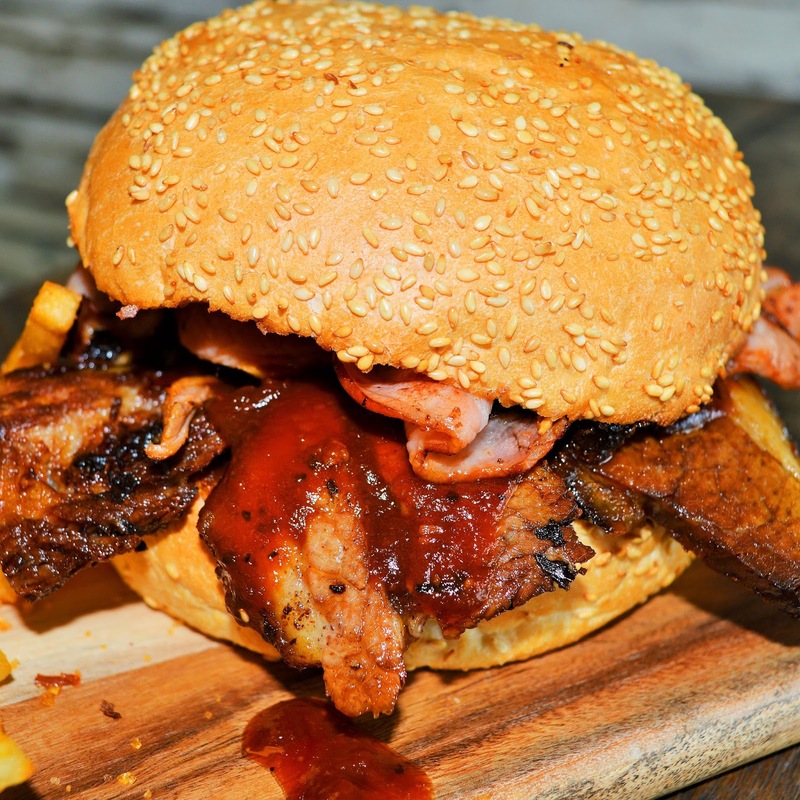 The Getta Burger team have definitely managed to capture the essence of the South in their burger creations. No frills just plain ol' good food! At Getta Burger they grind their own meat, make their bacon, smoke their meat AND make thier own sauce! Getta Burger is open from Wednesday- Sunday from 4:30PM to 8:30PM. Go treat yourself to a Getta burger today. You deserve it!